Terror attacks are nothing new in today’s world, there has been a certain rise in terror attacks all across the world, each country is now facing frequent attacks since past two years. 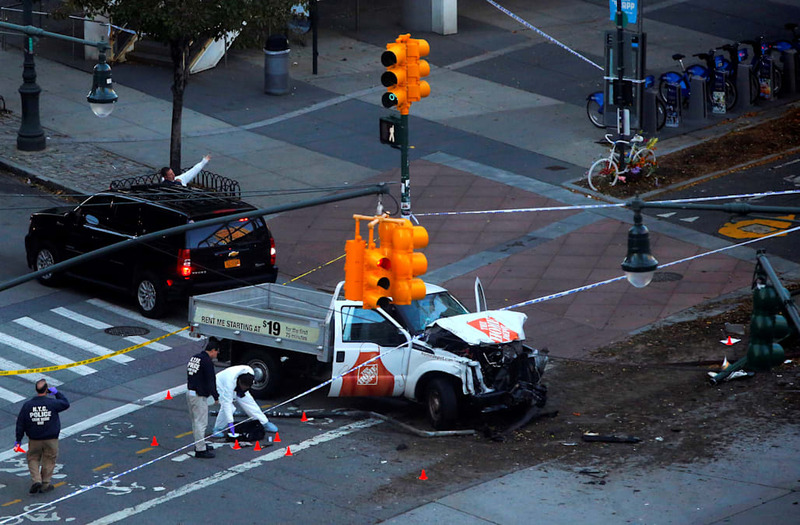 Every country is facing such terrorizing incidents, one such incident occurred in New York city on 31st October. 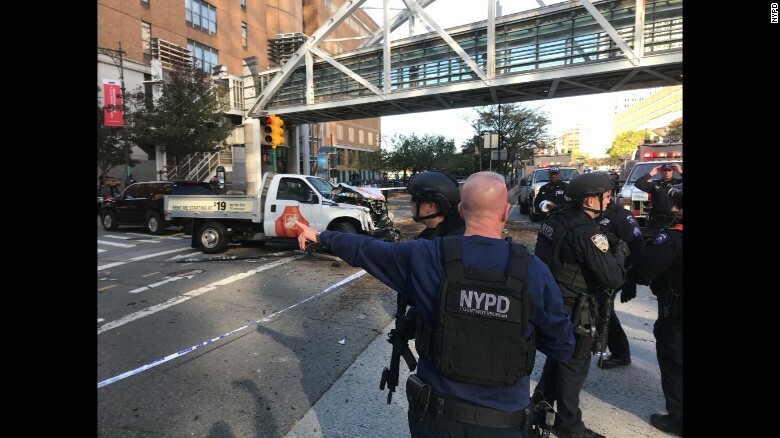 A terrorizing incident occurred in the New York city where a terror truck kills eight people and leaves almost a dozen people injured, read the article to know more about the news…..
A rental truck terror truck! On a pleasant day in Manhattan on Tuesday, a 29 year old guy rented a truck and decided to take a drive on the busy streets of Manhattan. But who knew that the guy would terrorize the entire city in one day! The attacks began at 3:05 p.m. when a 29-year-old man decided to drive his truck in the bike and pedestrian path on West Street, striking multiple people. New York City Police Commissioner James O’Neill said….. The drive was on a terrorizing rampage until he crashed into a school bus carrying adults and children. The reports say that eight were killed and about a dozen people were injured by the man! Deadliest terrorist attack on New York City since Sept. 11, 2001. Just after his truck crashed the driver got out and “brandishing two handguns”, but the police got him by shooting him in the abdomen, he was soon arrested and hospitalized. The guy carried a paintball gun and a pellet gun which were recovered from the scene. You will be shocked what they found out when the police identified the guy, read on next page…..